Scripture Union Scotland is a registered charity that aims to help all of Scotland’s children and young people explore the significance of Jesus Christ for their lives. Scripture Union Scotland&apos;s vision is to see the children and young people of Scotland exploring the Bible and responding to the significance of Jesus. We are a national charity, with around 100 staff and over 2,000 volunteers. Our activities take place in schools, outdoor activity centres, and churches. We are seeking a Regional Worker to deliver SU Ministry across the Independent School sector in the West of Scotland, and in the state sector in Renfrewshire & Inverclyde. This full-time post may be shared by two suitable applicants: Independent Schools West (3 days per week) and Renfrewshire & Inverclyde (2 days per week). • play a leading part in developing weekend and week-long residentials for young people. • help children and young people be disciples of Jesus. Scripture Union Scotland&apos;s vision is to see the children and young people of Scotland exploring the Bible and responding to the significance of Jesus. We are a national charity, with almost 100 staff and over 2,000 volunteers. Our activities take place in schools, outdoor activity centres, churches and online. SU Holidays is operated by SU Scotland and organises and runs around 100 holiday events for children and young people across Scotland. SU Holidays operates 2 seasonal campsites, one at Scoughall near North Berwick and one at Kingscross on the Isle of Arran. Each summer there are a number of Holidays that take place at both locations and we are recruiting for a Campsite Assistant to help us provide a high standard of service to all our guests during the summer. The role is varied and includes responsibility for cleaning, general maintenance, assistance with on-site activities and ensuring that the site is presented as an excellent place to be on holiday. Scripture Union Scotland is a registered charity that helps all of Scotland’s children and young people explore the significance of Jesus Christ for their lives. We currently have a vacancy for an Activities Instructor to be based at our Lendrick Muir Centre, near Kinross. Lendrick Muir is set in 120 acres of grounds with accommodation for 165 guests. This role is ideally suited for an experienced outdoor practitioner who combines strong NGB qualifications with leadership and management skills. Working as part of the staff team you will have oversight of the activities team, including staff and volunteers, ensuring day to day delivery of the activities programme. You will have specific line management responsibility for our Trainee Instructors. You will work with the Activities Manager on various aspects of activity provision, legislative compliance and skills training for SU’s residential ministry. You will provide activity instruction and maintain the activity equipment and infrastructure. Working with the Activities Manager you will help to develop the range and quality of activities we offer. Applicants for this post should have at least 5 years’ experience of instructing outdoor activities and hold a minimum of 3 NGB Awards (from SPA, ML, BCU Level 2, MTB Level 3 (or equivalents) as well as holding a current first aid certificate. Further NGB awards would be beneficial. A full UK Driving Licence is essential (preferably with D1 + E). 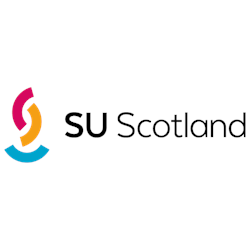 For this post, it is important that you are committed to SU Scotland’s ethos, working principles and vision and you would demonstrate this through your commitment and motivation.